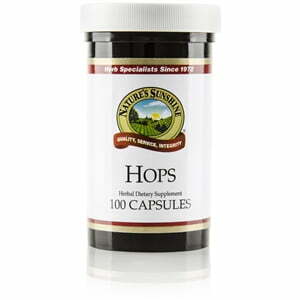 Hops, more commonly known as a key ingredient of beer, is a native of Europe, Asia, and North America. Often used in sleep-aid products, hops calms the nervous system and allows the body to relax. Its soothing capabilities also make it a beneficial food product. 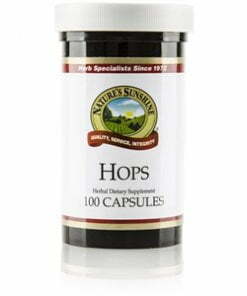 Nature’s Sunshine Hops comes in 250 mg capsules.